Tomato Sauce Cooking - Hydro-Thermal Corp. 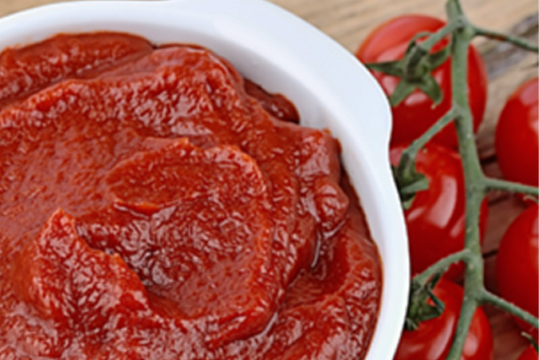 This tomato sauce producer was using a competitor’s 3-way steam valve heater with poor results. The unit had difficulty maintaining target temperatures, caused a loss of product due to burn-on, and consistently had issues with severe hammer and vibration. These issues caused concern over the piping’s integrity and added extra maintenance time and costs. A Solaris® Hydroheater, designed for highly viscous fluids was installed and successfully replaced our competitor’s 3-way valve heater. The straight-through flow design of the process steam heater minimizes flow disturbances and enables instantaneous condensation of steam without vibration or noise.